Simon Tam named his band “The Slants” as a way to fight back against racism and take back the word as a form of self-empowerment. But when he tried to register the name as a trademark, the United States Patent and Trademark Office (PTO) denied the application and refused to register the trademark under Section 2(a) of the Lanham Act. This law allowed the PTO to refuse a trademark if it could be considered disparaging. No one outside of the PTO actually found the band name disparaging. In this episode of Make No Law, the First Amendment Podcast by Popehat.com, host Ken White examines the Matal v. Tam case in which the Supreme Court vindicated Simon Tam and The Slants, finding that Section 2(a) of the Lanham Act — which allows the PTO to deny trademarks it finds offense — violates the First Amendment. In the episode, Simon Tam himself explains how the PTO substituted its own judgment for the advocacy of Asian-Americans trying to highlight and fight back against racism. This episode also features quotes from the justices involved and music from The Slants. Ken White: Is it the government’s job to tell you when you are being offended and protect you from offense, whether or not you agree? Simon Tam is the Bassist and Founder of a band he named The Slants. He and the other members of the band don’t think the band’s name is disparaging or offensive. Tam grew up in California, facing discrimination and disparagement as an Asian-American and he named the band to fight back against that bigotry, to turn it against the bigots. Simon Tam: I mean the name really came from — I mean for, one, as commentary, like you pointed out, but also because we wanted to share our perspective or our slant on life, if you will, of what it’s like to be people of color in the US. And the idea of kind of reappropriation and claiming of negative stereotypes really got cemented in my mind from a couple of incidents as a child and throughout high school. Most notably, one happened during my middle school years when I was responsible for cleaning up the sports equipment during our recess one day. And I didn’t realize it, but another group of students hung back and stayed. They actually surprised me by jumping me. They pushed me to the ground. They started kicking sand in my eyes, started punching and kicking me, all the while yelling jap and gook over and over again. And it wasn’t until I snapped and I said, you know what, I am a chink. Look, if you are going to be racist, at least do it correctly. This is how stupid you are. You can’t even be a proper racist that they stopped. And that’s when I realized there’s so much power in being able to claim an identity; even if it’s one that stings, because when you say this belongs to me and my community, when I am going to use it as a form of self-empowerment instead of letting you use it as something to push me down, it can be truly empowering and transformative. Ken White: So Simon Tam, an Asian-American who faced racism, thought he had the right to make that decision about reclaiming language, to take back an epithet and turn it into power and defiance. But a bunch of people, not Asian people, at the United States Patent and Trademark Office disagreed. 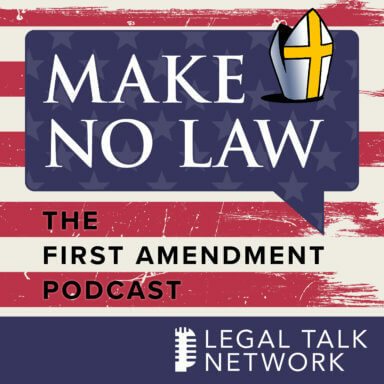 I am Ken White and this is Make No Law: The First Amendment Podcast from Popehat.com brought to you on the Legal Talk Network. This is Episode 4, Disparagement, Contempt and Disrepute. Ken White: The Slants didn’t choose their name as a marketing gimmick or to troll. It was expressive. It not only made a statement about racism, but it acted as a callback to other Asian-American groups before them. Simon Tam: It’s definitely deeply personal and it was kind of my way of paying homage to Asian-American activists who had been using the term in this kind of self-appropriated way for decades now. I mean for many years you had things like Slant Film Festival, which at its height was the second biggest Asian-American Film Festival in North America, never once did they receive any complaints. For them, their mission statement was to provide a bold portrayal of Asian-American culture and I always just thought that was so amazing. And you had folks like the Slanted Kings of Comedy Tour, Slant Magazine, Slant TV, all these things were just kind of providing edgy, nuanced views of my experience, and one that I could deeply relate to. So I thought how cool is it to be a part of this overall movement? Ken White: So Simon Tam didn’t think The Slants was disparaging. His band mates didn’t think it was disparaging. The band’s many fans didn’t think it was disparaging. The problem arose when Tam tried to register the trademark for The Slants with the PTO, the United States Patent and Trademark Office. The PTO denied the application and refused to register the trademark under Section 2(a) of the Lanham Act, which governs trademark registration. Section 2(a) says that the PTO can refuse to register a trademark if it includes, and here I am quoting it, “matter which may disparage or falsely suggest a connection with persons, living or dead, institutions, beliefs, or national symbols, or bring them into contempt, or disrepute”. Now, the PTO uses a two-part process to decide if a trademark is disparaging in their view. First it asks, what is the likely meaning of the mark in the marketplace? Put another way, what does The Slants refer to? If that meaning refers to an identifiable group, a person or belief, then the PTO asks whether the meaning might be disparaging to a substantial component of that group. If they decide it is disparaging, then they refuse to register the trademark. But in the case of The Slants, no substantial component of the Asian-American community objected to the name at all, unless the PTO considers itself as a substantial group. Simon Tam: The reason why we actually applied was because we had just done 18 months of touring. NPR did their first story on us, on All Things Considered called Trading in Stereotypes, talking about how there was this Asian-American band that was turning stereotypes upside down. We had worked at that point with over 140 social justice organizations, like Asian-American organizations, fighting for civil rights and bringing attention to their various causes, aligning with them in terms of doing advocacy work as well as doing antiracism work; oftentimes on behalf of the US government as well. And when we applied, we had never received a single complaint about the name ever. So that’s why it was quite a shocker when we were denied registration on the premise that it might perhaps be disparaging to persons of Asian descent, because certainly nobody in our community felt that way. Ken White: Simon Tam challenged the PTO’s refusal to register The Slants up the chain, first, through the PTO examining attorney, then through its Trademark Trial and Appeal Board. The PTO examining attorney and its Appeal Board by the way were not Asian, even though they had strong views about whether the band’s name was offensive to Asian-Americans. Simon Tam: When Governor appointed board of Asian-American leaders here in Oregon wrote the USPTO a letter asking which Asian-American organizations they consulted with to arrive at the decision, the Trademark Office wrote back and said none, that they didn’t need to, they didn’t have the resources to, but that in fact the USPTO was very diverse and they had 30% of people who worked at the Trademark Office being people of color and that Washington DC was a very diverse place. Ken White: Eventually The Slants, with their attorney Ron Coleman, hit on a new strategy, a new way to spin the application, and they reapplied for the trademark. Simon Tam: He said as long as you argue you are not offensive to yourselves, you are not going to win. Because they tell you, you can always appeal, but what they don’t tell you is that nobody who has appealed has ever won. Like the TTAB has never granted something on appeal. So he said, you are not going to be the first. They are not going to give it to you. They are bound by precedent. So his idea was to file a new application that he called Ethnic Neutral. In other words, there was nothing in the application that hinted the fact that we are an all-Asian band. The only thing Asian about it is my Chinese middle name. And he thought, well, slant means a lot of different things. It’s not an inherent slur, so maybe we will luck out, maybe we will just file, it will just kind of go through without someone thinking about it and we will get the registration. However, the Trademark Office gave us the exact same examining attorney and he actually copy and pasted his previous response into the current application, submitting another refusal. Ken White: So the neutral approach didn’t work. The PTO said, in effect, hey, you didn’t say it, but we know that you guys are Asian. Simon Tam: And we also pointed out the fact that my band is the only one in all of US history to be denied a registration for slant on the premise that it’s disparaging to Asians. Hundreds of them have been applied for before and many of them granted, but not once did they say, you know, slant could be considered derogatory. So we asked them like why that was? The Trademark Office responded saying, it is incontestable that the applicant is of Asian descent and part of an Asian band. Thus, there’s an association with the racial slur. But that’s just a fancy way of saying, hey, anyone can register a trademark for The Slants as long as they are not Asian, because I can’t change the imagery of the band, that’s literally like my face. We can’t change the imagery of — the makeup of the band, unless I were to fire everybody in the band who was Asian and replace them with non-Asians instead. Ken White: Simon Tam and his lawyers started focusing more on the First Amendment argument. They had been arguing the facts that The Slants name is not disparaging, that the PTO didn’t find anyone saying it was disparaging and that the PTO didn’t follow its own rules to show it was disparaging, but that didn’t work. Simon Tam didn’t set out to overthrow Section 2(a) of the Lanham Act. He didn’t set out to bring a First Amendment challenge, but the more he saw how the PTO applies Section 2(a) to real people, the more he realized that the government shouldn’t have that discretion to treat other people the way they treated him. Simon Tam: Like I wasn’t looking to obliterate Section 2(a) of the Lanham Act. I thought its intention and its purpose was pretty good. Like hey, let’s prevent like a bunch of racist stuff from being registered trademarks, why not. However, when I started digging in more and looking at how they applied the law, I realized that it was disproportionately targeting marginalized groups, like people of color and members of the LGBTQ community, because we tend to be the groups that reappropriate language, we tend to use parody and satire, irony and wit and all these other tools that are essential for democracy. But because we tackle on these kind of difficult areas and because identity politics are constantly shifting, it just made us prime targets for it and I realized that we are burdening already burdened groups and that’s not equitable, that’s not justice. And so I realized that the government didn’t have the competency to legislate on morality or on viewpoint or even on identity and that if we left it up to them, then we would see this disproportionate impact. So that’s when I started moving closer to kind of almost a pure speech position, almost that of the ACLU, realizing that we can’t allow the government to be the arbiter of these things. Ken White: After failing that second time before the examining attorney and the PTO’s Appeal Board, Simon Tam and his lawyers appealed to the United States Court of Appeals for the Federal Circuit. That’s the court that hears appeals from a number of federal agencies. They argued that under the First Amendment the government, in the form of the PTO, can’t refuse to register a trademark, because it doesn’t like the message the trademark sends, because the PTO doesn’t like the expressive part of the trademark. Now, this whole time they were litigating this in federal court, the PTO was arguing two main things. First, it was arguing that Section 2(a) is valid and the PTO can use it because trademarks are commercial speech and therefore laws regulating them are subject to the more lenient First Amendment standard that applies to things like advertisements. Traditionally, the courts have given the government more leeway to restrict advertisements than they have other speech. But the other thing the PTO was still arguing was that the name The Slants is offensive to Asian-Americans, that it’s disparaging. They were still doing that without real evidence. In fact, they were doing that based on things they made up. The PTO claimed during the litigation that one of The Slants concerts was canceled because so many people found that offensive. They got that claim from an anonymous MySpace page online. It wasn’t true. Simon Tam got declarations from that organization that hosted him saying it wasn’t true and that the concert was canceled for logistical reasons and that they had had The Slants there other times. But the PTO stubbornly stuck by that MySpace page as evidence, even in federal court. Male Speaker: Hey everybody, it’s getting way too rough. For safety reasons I am sorry, we need to cancel the rest of the show. Sorry, sorry, thank you for coming out. Ken White: During argument before the Court of Appeals the PTO’s lawyers spun this fantasy even further. They claimed that Simon Tam had to be removed physically from the podium at this venue because the audience was so outraged he was there, because of the band’s name, but that never happened. It was entirely fabricated. The same organization that the PTO claimed was outraged at Simon Tam recently gave him their Citizen of the Year Award and asked him to give a keynote address five years in a row. Even though the PTO had never been able to come up with real evidence that people were offended by the name The Slants, its relentless argument that the name was racist started to have an impact. Simon Tam: And it was like absurd because here I have the federal government telling other people how racist I am, while using false information. I mean what kind of — what does that do to a person? That kind of misinformation being spread about me actually in many ways started hurting me, because I started getting speaking events canceled on me, and events by the band canceled on me. People pulling out because they said, oh, the government says you are racist, that people are offended. And it took a lot of additional phone calls and paperwork just to say, no, like this is actually false, like talk to the actual community or organizations involved in these incidents and they will all stand by us, no matter what. It was just like weird to get threats at my job because of what the government was saying. 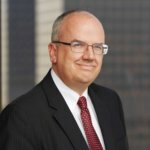 Ken White: In 2015 the United States Court of Appeals for the Federal Circuit agreed with Simon Tam and his lawyers that Section 2(a), the law the PTO relied on to refuse to register The Slants, was unconstitutional. Here’s what Circuit Judge Kimberly Moore said. Judge Kimberly Moore: The government cannot refuse to register disparaging marks because it disapproves of the expressive messages conveyed by the marks. It cannot refuse to register marks because it concludes that such marks will be disparaging to others. Ken White: The United States Supreme Court agreed to review that decision. In the Supreme Court the PTO continued to argue that The Slants is a disparaging name and that trademarks are commercial speech and therefore Section 2(a) is subject to a more forgiving review. They also argued that trademarks aren’t really speech by the people who register them. Instead the PTO argued trademark registration is like speech by the government, because the government is putting its own stamp of approval on these marks by registering them and the government can regulate its own speech. As Chief Justice Roberts pointed out at oral argument, that’s begging the question. Ken White: In June 2017 the Supreme Court vindicated Simon Tam and The Slants. Justice Gorsuch had only recently been confirmed and he didn’t vote, but all eight other justices agreed that the PTO was wrong and that Section 2(a) violates the First Amendment. The decision is a classic Supreme Court dog’s breakfast, a mess with different justices agreeing with different parts of opinions and not all agreeing on the justification for the outcome. But the bottom line was this. The justices rejected the idea that Simon Tam’s trademark registration was speech by the government or speech subsidized by the government or any other sort of speech that the government gets to control. In fact, writing for the Court, Justice Samuel Alito ridiculed that argument. Justice Samuel Alito: For example, if trademarks represent government speech, what does the government have in mind when it advises Americans to “make believe” from Sony, “think different” (Apple), “Just do it” (Nike), or “Have it your way” (Burger King)? Was the Government warning about a coming disaster when it registered the mark “EndTime Ministries”? Ken White: Confronted with the question of whether trademarks are commercial speech and whether laws regulating trademarks should be subjected to the more forgiving level of scrutiny associated with commercial speech, the court did its favorite thing, it punted. Four of the judges said we don’t have to decide that, we don’t have to decide what kind of scrutiny to use on this law because under any standard it fails, even under the more forgiving commercial speech standard, Section 2(a) violates the First Amendment. Four of the justices explained that the government doesn’t have a legitimate interest in protecting you from offense. Here’s more from Justice Alito. Ken White: The justices also pointed out that Section 2(a) isn’t really about stopping discrimination, because it covers all disparagement. Ken White: The other four justices went even further. They asserted that Section 2(a) is viewpoint discrimination by the government and that it’s presumptively unconstitutional, whether or not it’s commercial speech, and that the court doesn’t even have to reach most of the PTO’s arguments. This was a complete victory for Simon Tam and an utter defeat for the PTO and Section 2(a). Even though the Supreme Court was only ruling on Section 2(a)’s disparagement language, it was clear that other parts of that statute were in trouble as well. And in December 2017 the other shoe dropped. The United States Court of Appeals for the Federal Circuit, relying on the Supreme Court’s opinion in Simon Tam’s case, struck down another part of Section 2(a), the part that allows the PTO to reject immoral or scandalous trademarks. The implication is clear, parts of Section 2(a) that allow the PTO to make value judgments based on the expressive content of trademarks are not going to survive. If you look at how the PTO made value judgments in this case, that’s clearly a good thing. And Simon Tam, how does he feel about being the guy who took down the PTO’s ability to censor trademarks based on its interpretation of them, he just wants to go back to making his point with music, not litigation. Simon Tam: Well, I am going to enjoy making art and do so for the first time without having a legal case hanging over my head. It’s been eight years in this particular battle and so I am just so thrilled and relieved that it’s over and I want to use our band as a platform to continue driving these important conversations about racism and identity and where the role of artists should fall in all of this. So we have already kind of moved on and honestly once I walked out of the courtroom at the Supreme Court this January, I was like I am over it. I am done. I am just going to move on and focus on other things, because there are other issues more pressing in our society that we are facing. Ken White: In this series of podcasts, I will be telling more stories behind important First Amendment decisions. If there’s a case you want to hear about or a First Amendment question you would like answered on the podcast, drop me a line at HYPERLINK “mailto:[email protected]”[email protected]. Lastly, I would like to thank our guests, voice actors, producers and audio engineers for their participation. My guest Simon Tam, Founder of The Slants; our voice actors, Producer Kate Nutting as Judge Kimberly Moore and Jason Tashea of the ABA Journal as Justice Samuel Alito, Executive Producer Laurence Colletti, and last, but not least, music, sound design, editing, and mixing by Adam Lockwood and assisted by Kelly Kramarik. Excerpts from the oral argument in Matal v. Tam provided by Oyez, a free law project by Justia and the Legal Information Institute of Cornell Law School. Special thanks to Simon Tam and The Slants for permission to use their music for this podcast. You can find them and their work at HYPERLINK “http://www.theslants.com” theslants.com. See you next time for Episode 5, Crush.